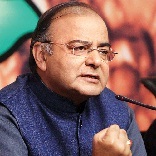 NEW DELHI: Finance Minister Arun Jaitley said the Centre would sort out compensation issues with states to ensure early roll-out of Goods and Service Tax, a new indirect tax regime that will subsume various levies. After meeting state finance ministers, he said there is a broad consensus on implementing the GST regime and efforts will be made to sort out the pending issues, especially with regard to compensation for loss of revenue. "Fixing compensation issue is critical to roll-out of GST," Jaitley said. Briefing the media about the meeting, Minister of State for Finance Nirmala Sitharaman said it was difficult to give a timeframe for introduction of the new tax regime, but "it (the constitutional amendments) will happen soon". "Discussions are intensive and in friendly atmosphere. We are definitely progressing on the issue of GST. We are moving towards greater consensus. That gives me a hope that GST would be sorted out sooner. Of course, we are in better position from where we have started," she said. The government is looking at the compensation part which has been an issue of concern for all the states, she added. "(This) is an issue, with due respect, we have inherited and we would like to work on, we are sorting out," she said. When asked if Centre gave any assurance to states on compensation, she said: "We are talking with a completely open mind and we have not given any commitment either way for anything." Earlier in the day, Empowered Committee of State Finance Ministers and senior officials of the central government had met separately to brainstorm on different aspects of the GST, including compensation to state governments for their revenue loss due to halving of Central Sales Tax (CST) to 2 per cent. The long pending tax reform, GST would subsume indirect levies such as excise, service and local taxes, has been highlighted as important agenda of Modi government. Sitharaman said some of the states demanded inclusion of GST compensation in the Constitution Amendment Bill for introduction of the new indirect tax regime. "Few states have also asked about keeping petrol and entry tax out of GST but large issue is how are they going to get compensation...," she added.